Ben Preiser came to Michigan State as a freshman in the fall of 2009. He got involved in Spartan Christian Fellowship as a student and grew in his understanding of the gospel and the Bible. As a senior in 2012 he and Sneha Abraham, a former SCF staff worker, started working to reach out to international students. For the next two years, Ben and Sneha continued their efforts with internationals, until Ben graduated in spring of 2014. 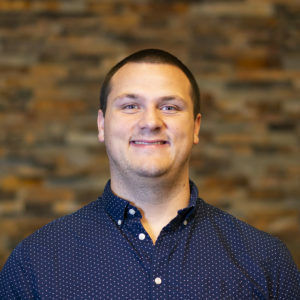 After graduating, Ben decided to join SCF staff as an intern to continue his ministry with internationals. He was also assigned to work in the East neighborhood of MSU’s campus, leading a discipleship group and bible study in that area. Ben interned for two years with SCF, after which he decided with his new wife Alyssa (married in summer 2015) to transition to working as a full campus staff member. He finished raising financial support in December 2016 and hopes to stay at least through the 2019-20 school year. Ben’s aforementioned, beautiful, smart, and wonderful wife Alyssa is currently studying for a doctorate in Biochemistry through Michigan State. She also leads a discipleship group of SCF women students and helps with graphic design for the ministry. She and Ben have a deep desire and passion for the riches of God’s grace to be proclaimed at MSU and for the glories of Christ to be treasured in the hearts of the students there.